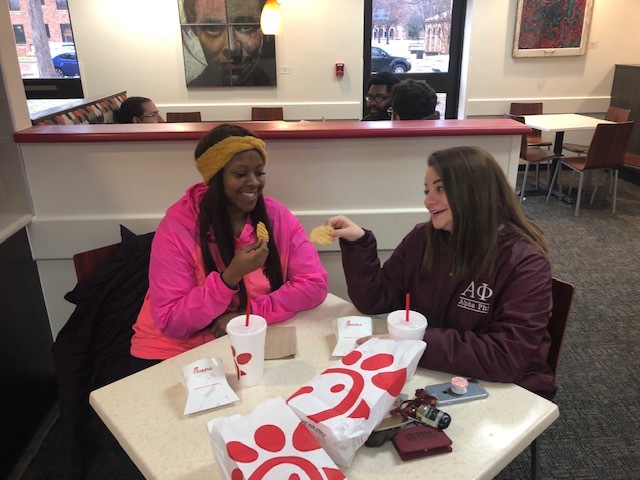 Dasia Daniels, general business freshman, and Ally Solete, special education freshman, eating lunch. Freshmen students are met with new obstacles which require adjustment. First-time students face struggles with making grades, starting friendships, and adjusting to being away from home. Freshmen didn’t feel prepared coming into college. First-time university students that came from smaller towns or high schools with smaller graduating class sizes took a while to get use to larger class attendance. Incoming students who have been concurrently enrolled in college courses during high school still felt the transition into university classes was tougher than they expected. Other students said Advanced Placement classes from high school were different compared to university classes. 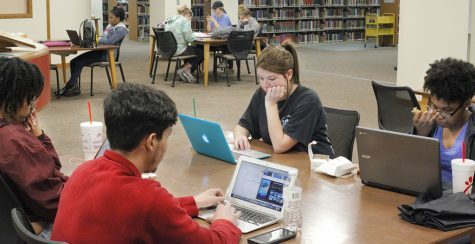 Some students struggled with adjusting their study habits to match the course load of college classes. In response to the added difficulty of university classes, various students adapted their learning practices to keep up with their school workload. As students were getting used to classes, they spent any free time going to events and utilizing campus facilities. The student involvement staff make efforts for freshman students to get out of their dorms and attend events around campus. 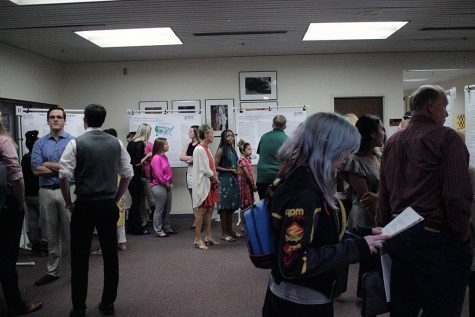 Freshmen are offered various events around campus. 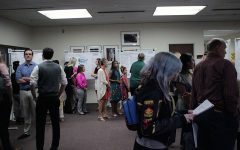 The Office of Student Involvement staff members work with groups around campus, such as resident life, the Counseling Center, and the University Programming Board to provide different activities and events for students to attend. Besides the many events that go on around campus, there are various clubs and organizations that students are encouraged to get into. Ruby Arriaga , who is also the adviser to the University Programming Board, recommends new students to join the University Programming Board. Despite the clubs and organizations offered to students, there are still some who haven’t joined anything. Some commuters find it difficult to get involved. 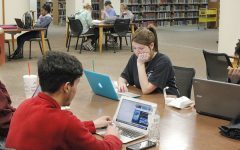 Even still, students plan to make efforts to join groups and clubs while earning their degree. 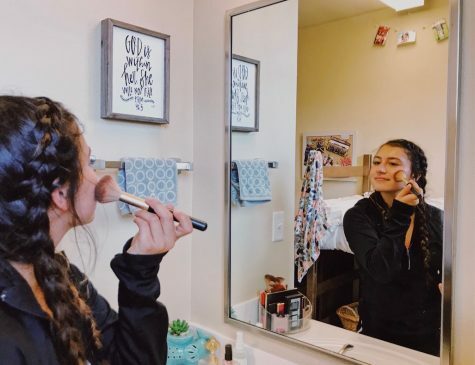 Freshmen that have never experienced university life started having expectations of college from various pop culture references and what they may have heard from friends and relatives. Romo felt that the experiences she heard about from her peers prior to coming to university gave the impression that it would be easier to make lasting connections. Daniels made the decision to become celibate after attending university. Freshmen learned new things about themselves once they got to campus. Students became closer to their family even if they don’t see them as much or have moved hours away from home. The roles of parents have changed with their oldest child moving out of the house and engaging in adulthood. UPB and the Office of Student Involvement like to hear feedback from students about what they could do to promote participation on campus. Stampede Week includes activities for incoming freshman to learn about the University. Other students are very happy with MSU and will continue pursuing their degree here.